Are you in need for an enclosed car carrier? Vintage or exotic cars are an investment and a luxury item as well. Moving this type of cars from one place to another require optimum care and protection. If you are planning to move miles away from home, All States enclosed car carrier is the right solution to your problem. The advantage of enclosed car carriers is to avoid any elements from touching your car as your vehicle is locked inside the carrier throughout the shipping process. Unlike open carriers, this option prevents the vehicles from being exposed to dust that can accumulate on the vehicle surface and affect its overall look. Also, it saves you from worrying about any external damage due to an accident on the road. You can expect from our company to pick up your vehicle in a matter of days. As the company’s enclosed carrier arrives, your vehicle will be loaded carefully and locked in place to ensure that it will not move throughout the travel. Another option if you own more than one car is to get a larger carrier to accommodate all your vehicles. You will not have to worry about the safety of your vehicles as these carriers can accommodate more than one vehicle and still keep each safe and intact. More vehicle owners prefer our services because we not only have affordable prices but professionals working one on one with our clients. We understand your concerns about transporting your vehicle and if is your first time using our services we explain in detail anything you need to walk you through the entire process. We guarantee you will be more than happy with the end results and don’t hesitate to give us a call at 1-877-320-2758 or visit Free quote. 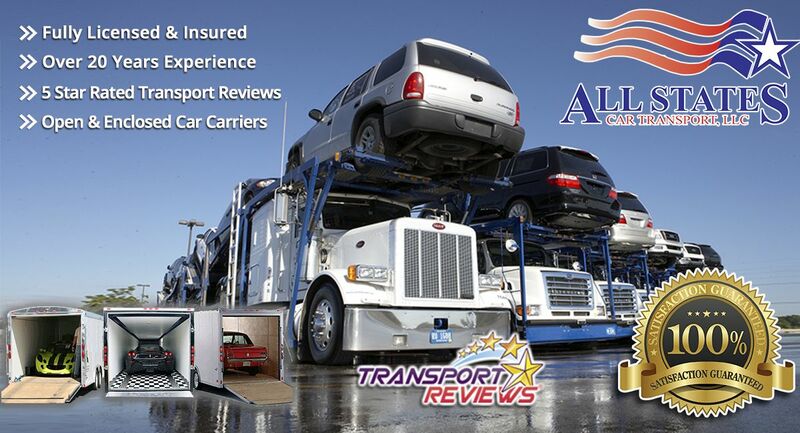 Enclosed Car Carrier	Overall rating:	4.8	out of 5 based on 8	reviews.